I am a big believer in spreading happiness and positivity. I may not always be the most positive person and let me tell you- I have a lot of bad days, just like the rest of the human race but I do try my hardest! If I can't be happy myself, the least I can do is try to make others happy! I think it can be easy for us to say we want to spread happiness and joy but how many of us actually do it? When was the last time we actively went out of our way to make someone else happy? I am a strong believer in that happiness does not have a quantitative value. Sometimes simply smiling at someone, holding the door open for them or offering to help when they are struggling means a lot more than any expensive gift. 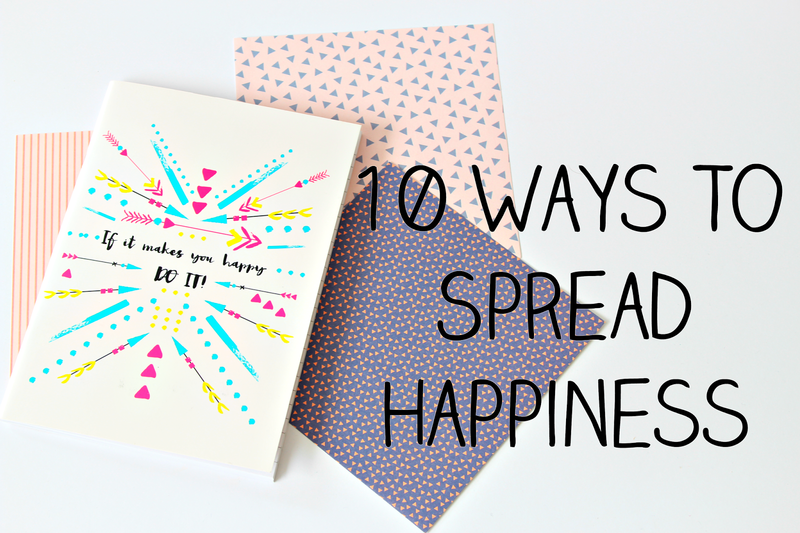 Today I thought I would share with you 10 simple and effective ways to spread happiness. These simple little things take only minutes out of your day but could make someone's week. I would love to know if you manage to do any of these, after reading this post! I know I will be trying a lot harder to continue to spread happiness. This can be a random person on the street or someone on online. I don't like to set myself targets, such as 'compliment five people every day' because I feel like it could become a little bit forced and not as meaningful. However, where possible I always try and compliment people. Whether this is on their physical appearance, what they are wearing, their recent blog post or even their personality. Just simply saying "I love your dress" or "You have such a bubbly and warming personality- I wish I could be more like you" could really make someone very happy. You never know who is having a crap time so a simple compliment could really brighten their day. They take no time at all to say, so just say it! Be brave! A simple "Thank you" can go a long way. It's easy to forget how grateful we all are for the small things in life. The people who are there for us every day, who we don't appreciate as much as we should. Internally we appreciate them a lot but it's also good practice to externally appreciate them. Saying thank you to your parents for making your dinner or your partner for doing some chores around the house. The list of little things you can say thank you for is endless. I love postcards and thank you guys. I think they are the cutest thing ever! 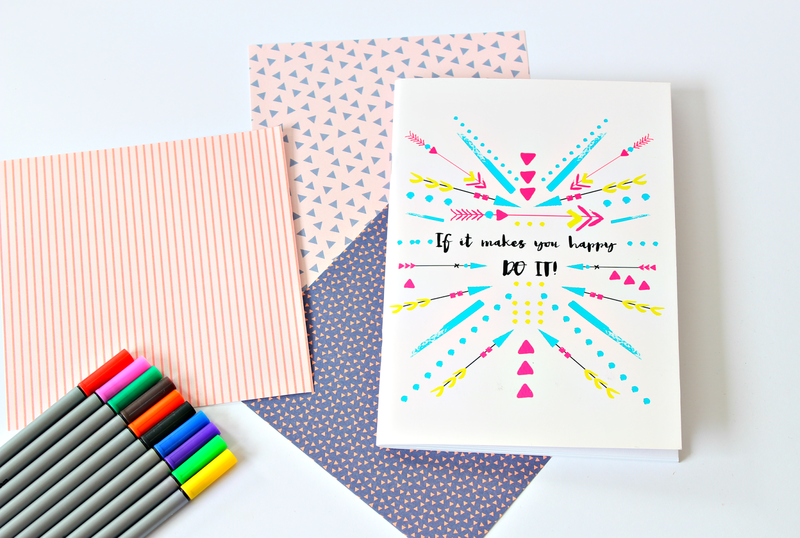 If you want to make someone very happy, send them a thank you card. A thank you card doesn't just have to be a response to getting a present. A simple 'Thank you for being there' is enough and is guaranteed to make someone very happy, knowing that you care! Okay, this one is very Pinterest-like but so cool. Simply, (I say simply you need to buy a helium balloon or a canister of helium so it floats. A pack of 20 party balloons from Tesco won't work) once you have sourced the balloons you need, you can get one or as many as you like. You need to plan what you are going to say. You could either write a short quote on the balloon, being very careful not to pop it or write a message on some paper and attach it to the end. You then let it go and hope it lands somewhere someone will find it. The idea of this is that you will hopefully brighten a complete strangers day, spreading happiness. You can write whatever you like on the messages- just make sure it's positive and will make someone happy. I have never received a message in a library book but it's kind of one of my life goals. Lol! This one is really simple. All you do is visit your local library, you can either check out the books (read them of course) write a positive message on a small bit of paper and pop it in. Then return the library book and hope the next person comes across the message. Doing it this way you do run the risk of someone finding out it was you, they may ask who checked out the book last etc. The alternative way you can do it is; visit your local library with the messages already written and pop them in the books without being caught. You have to be sneaky and don't want to look suspicious. You can do this for as many or as little books as you desire. Just think of how happy that person will be when they get your message. A lot of us worry about buying gifts for people. Will they like it? Will it be too big for them? Have I spent enough money on them? I don't know about you guys but I much prefer receiving a homemade or thoughtful gift that I know the person has put a lot of effort into. Don't get me wrong I am very grateful for any gifts I ever get for Christmas or birthdays but there's something very special about homemade gifts. I made a lot of homemade gifts for my mum when I was younger. Let's be honest they weren't great but it's the thought that counts. You don't have to be a kid to do arts and crafts. Pinterest is full of ideas for everyone of all abilities to have a go at, whether you are naturally creative or not. I guarantee you will be making someone very very happy! Saying congratulations is so important, but it doesn't always to be in celebration of the big things in life. Yes, we congratulate people when they do well at school or in an exam, when they get married, have a kid or pass their driving test but sometimes saying well done doesn't have to be after a big milestone has been achieved. We all lead very different lives. We all go at different paces. Some of us fly through periods of our life where everything is great while some of us need to take things a little bit more steady. Sometimes we need to say well done for the small things. Well done for making it through the day. Well done for leaving the house. Congratulations for being brave and exposing yourself to something challenging. These little well dones can really help boost someone's happiness and mood. We all need encouragement in life for the small things and the big things. Sometimes a simple you can do it is so important and can really increase someone's happiness. Whether it's before an exam or an important test, or a simple you can get through the day. Sometimes we all need that little boost and support from others to get us through hard times. And that's completely okay because we are all human. I love to post positive and motivational quotes on Twitter most days. I know it may seem cheesy but I want to do my best to encourage you guys. Pinterest is my favourite place to go for quotes they are so cute and meaningful. I have a powerful platform and I need to use that to support, encourage and motivate my friends as much as I can. Seeing other people happy makes me very happy. This one's quite broad because there are so many things you can do to make people laugh. We all have bad days, that's just part of being human. As they say, you can't make a rainbow without a little bit of rain. It's okay to have bad days but if you can have five minutes of sunshine in that day, where someone has made you laugh, that would be amazing. There are so many ways you can make people laugh. One of my favourites is to send them a funny GIF on Twitter. That's guaranteed to make them smile. You could tell them a funny joke, send a snap chat or take lots of silly photos. The list of possibilities is endless. Laughing is so good for your stress levels so at least once a day, try and spread a little bit of happiness by making someone laugh. This one is quite similar to the library book and balloon one. It's always something that I have wanted to do and I am determined to get it ticked off my bucket list. Simply find a bottle, write a positive, happy message about literally anything ( maybe even include your phone number that would be cool) put the message in the bottle, chuck it into the sea and hope that someone someday finds it. Although you may never get to know if someone has received your message or not, it's the thought that counts. If I ever came across a message in a bottle washed up on a beach I would be absolutely delighted. I think it's a really quirky and individual way of spreading happiness and positivity that not a lot of people would think of. There is so many things you can donate and so many charities you can support. One of the simplest ways is donating to charity or a women's refugee shelter. But you could also donate your hair for projects the little princess trust or brave the shave for cancer. You could run a stall a fair in aid of a charity or simply just put money in one of those tins we forget about so often. There are so many things you can do to support charities from skydives to highly energised sports activities. If sports not your thing, there are lots of other things you can do. My mum and I do an operation Christmas child box every year. Although you don't directly get to see the happiness on a child's face you know that you have done something very insignificant to you but is very significant to a child in Africa. Please support charities, they need you in order to run. Without your support millions of people around the world remain unhappy for so many different reasons. I hope this post has given you some ideas on how you can spread happiness and positivity. I know that I will be trying hard to do these or continue to do them in the future. Such a lovely, uplifting post as usual Nicole - I think people forget how a simple compliment can really make somebody elses day! This is probably one of my favourite posts to read! All these ideas are brilliant! I completely agree - doing little seemingly insignificant things like these can really help make someone's day or help them get through tough times. I always appreciate any sort of thought that anyone gives me and it really can help sometimes. I always try to compliment and smile encourage as much as I can as they're so easy and yet can make a huge difference to people but I love the idea of the message on a balloon or in a library book, they're such sweet and random ideas I would love to find one! 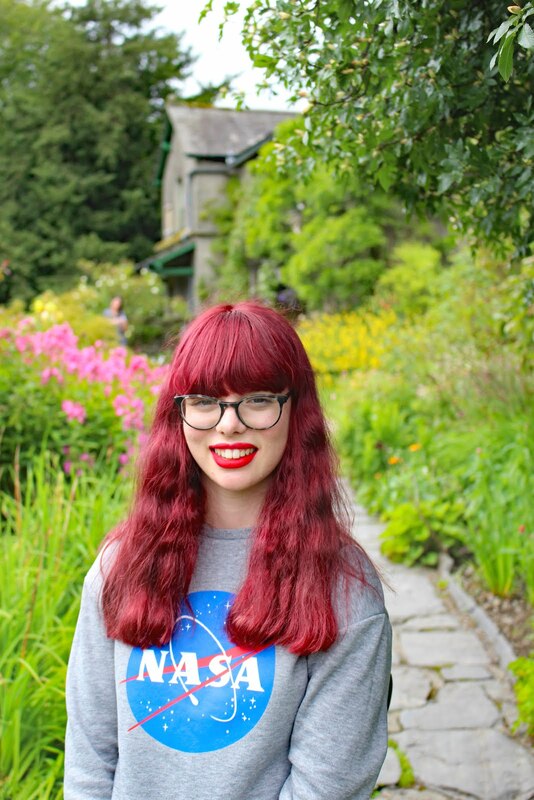 Really lovely post and brilliant ideas, Thank You Nicole! I love all of these ideas! Especially the balloon one. How lovely would it be to find a balloon with a little, positive note inside... It would make my day. I definitely want to be more positive this year and spread lots of positivity too! We all have bad days that's just part of being human.